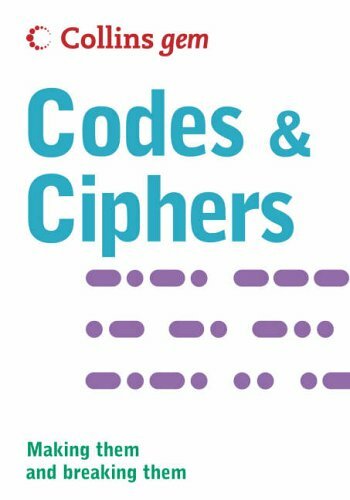 Covering the history of the development of codes and ciphers, this book also has practical information and advice on how to make codes and how to break them. Topics covered are: Native American smoke signals, Masonic signals and semaphore; morse code, Braille, ASCII computer language; letter substitution - mono- and poly-alphabetic; and more. This title provides all you need to know about making and breaking codes. "Gem Codes and Ciphers" touches on everything from the smoke signals used by Native American Indians to encryption devices used by government agencies and the military. Not only does this handy, pocket-sized book cover the history of the development of codes and ciphers, it also has practical information and advice on how to make codes and, more importantly, how to break them! Topics covered are: Native American smoke signals, Masonic signals, flags, and semaphore; morse code, Braille, ASCII computer language; letter substitution - mono- and poly-alphabetic; computer algorithms; codes and ciphers throughout history; and development of code-breaking devices, such as the Enigma machine.